The Honda CR-V remains the one of the most popular crossover SUV in the country, for the second year in a row. The reason? The CR-V gives consumers what they want - value, style and extreme versatility. In fact, the 2016 Honda CR-V can be all things to all people - if you choose the right model for you. Do you need to commute around town? The new Honda CR-V will elevate your ride with a high-in-the-saddle posture that lets you see way the down the road, over the tops of those lesser SUVs. Are you ready to move a big load of belongings? Take advantage of its generous 70-plus cubic feet of cargo space. Are paved roadways too cookie-cutter for you? Then grab some knobby tires and step up to the all-wheel-drive CR-V with Real Time AWD for true off-road mastery and superior traction control. As you can see, the CR-V has a lot of personality, and some would say it has multiple personalities. You should stop by Jim Skinner Honda for an enjoyable test-drive of the 2016 CR-V at your earliest convenience. We are easy to find at 3823 Ross Clark Circle NW in Dothan, AL, and close to our friends in Troy, Ozark, Enterprise, Marianna, Chipley, and Bonifay. The 2016 Honda CR-V has something for everyone - especially you! If you like to feel in control of the situation, and you appreciate quality when you see it, the 2016 Honda CR-V is the perfect SUV for you. It takes you anywhere you want to go, on the road or off, with confidence and style. You can drive it out of a muddy ditch, and fit a full-size Ditch Witch in the rear, but it cleans up quickly for an elegant night on the town. If you live in Troy, Ozark, Enterprise, Marianna, Chipley, and Bonifay, you may find the new Honda CR-V to be the perfect SUV for these parts. When you drop by Jim Skinner Honda, we can show you different models and trim levels of the CR-V, as well as a line of accessories and bling that lets you customize your Honda CR-V to your heart's content. 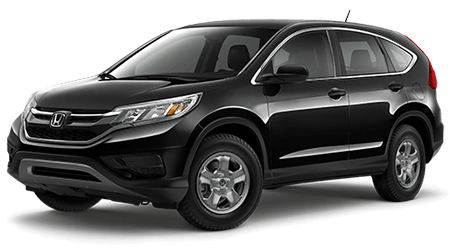 Jim Skinner Honda is centrally located at 3823 Ross Clark Circle NW in Dothan, AL, and we would like to treat you to an invigorating test drive of the 2016 Honda CR-V. See you soon!